COMMENTARY | For over 100 years, promoters have worked tirelessly to make professional wrestling one of the most popular forms of entertainment in the world. Although today’s younger wrestling fans may only know a handful of these giants of the industry, contemporary promoters such as Vince McMahon may have had to work in other fields if not for these trailblazers. While McMahon and other promoters of the last 20 years revitalized pro wrestling, the work done decades earlier should not be forgotten. Many promoters deserve credit for the fusion of athleticism and showmanship that is professional wrestling. Take a look back at the top 10 pro wrestling promoters in history. Some people may disagree with the designation of Ted Turner as a promoter. He was certainly not as hands on with the daily operations of his promotion as others were. But he owned WCW when it briefly ruled the wrestling world. Fritz Von Erich promoted World Class Championship Wrestling in Texas. Although he is most famous for the work of his sons, Von Erich also turned The Freebirds into superstars and drew incredible crowds at Texas Stadium. Paul Heyman is perhaps the most polarizing wrestling promoter in history. His loyal fans credit him for revolutionizing the industry in the 1990s. However, his detractors point to ECW’s very brief run and its major financial problems. Bill Watts brought a level of excitement to televised wrestling that had rarely been seen before. Many of Watts’ former Mid-South wrestlers went on to greatness. However, Watts’ brand of toughness didn’t work nearly as well in WCW. Like Fritz Von Erich, most of today’s contemporary fans know Stu Hart because of his sons. However, he succeeded as a promoter in Canada where many others failed. Stu Hart’s Stampede Wrestling promotion ran for 36 years. 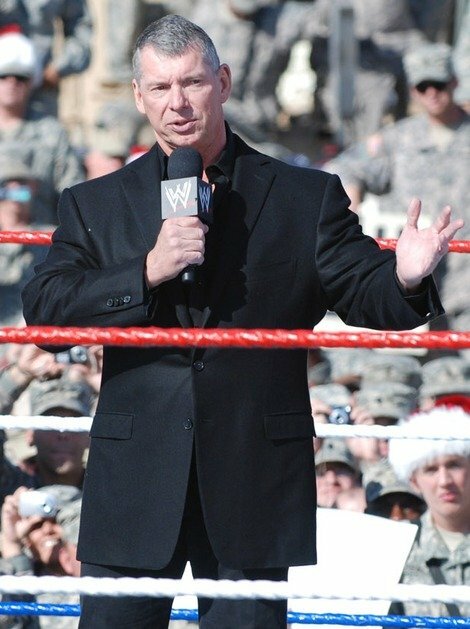 Vince McMahon, Sr. took a small NWA territory and turned it into one of the nation’s top three promotions. McMahon’s WWWF ran in the northeast for decades, had legendary champions, and had strong gates at top venues. Verne Gagne was a promoter nearly as long as Stu Hart was. Gagne promoted the AWA in the Midwest while he was also its best wrestler. Despite the emergence of the WWF, Gagne managed to keep the AWA in business until 1991. In 1948, the most powerful wrestling organization in the world was born. Jim Crockett, Sr., a wrestling promoter in the Carolinas, was one of the NWA’s founding fathers. Jim Crockett Promotions was one of the NWA’s top territories. Another of the NWA’s founders, Sam Muchnick was a top promoter in St. Louis. Muchnick also served as NWA president. For decades, many of the NWA’s greatest matches took place in St. Louis under Sam Muchnick’s watch. Though not as popular as some of the aforementioned legendary promoters, there is no denying Vince McMahon’s success in the industry. In over 30 years as WWE owner, McMahon has rarely been challenged by other promoters.